For a story about a women who loathed her name because of how complicated it was to spell and pronounce. She also went on about her journey to change her first name to a single letter. Kind of like T S Elliot or E E Cummings. The Globe & Mail has two different sizes for vertical and horizontal illustrations for their Facts and Argument section. I couldn’t decide what I liked better so I sent both. The bottom version printed in the paper. Read the story here. 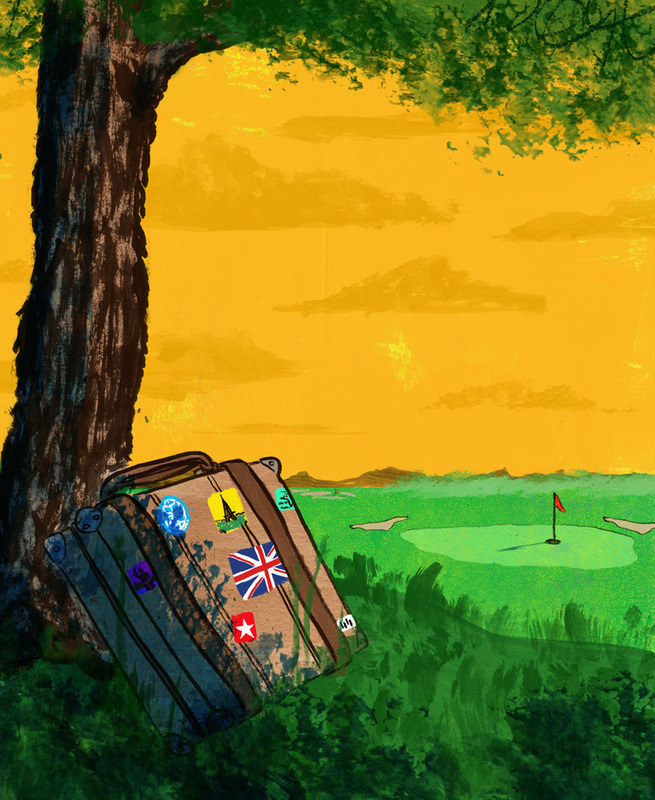 A mother is concerned that her son is becoming a little too obsessed with playing golf and plans a trip to the UK to go on vacation. Her son ends up winning a youth golf competition that leads him to compete in the regional finals. Coincidentally, the regional finals happen the same week they were supposed to get away from it all. I did this piece for the Globe & Mail’s, Facts and Arguments section. The story is about how the author went on a cruise ship with his wife, and met another couple whom they got along with really well. After talking a bit, the author and the wife of the other couple discovered they are actually long lost cousins.